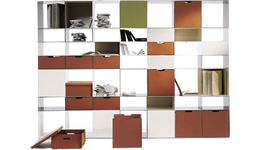 Demand is growing for versatile and flexible furnishings that adapt to a variety of different spaces and needs. The modular design of the new system responds to this desire, forcefully expanding the range of offerings of furniture for the living room and bedroom. The system is made entirely of aluminium, with a wide range of pieces with different heights. The pieces can be attached together to form infinite possible configurations. 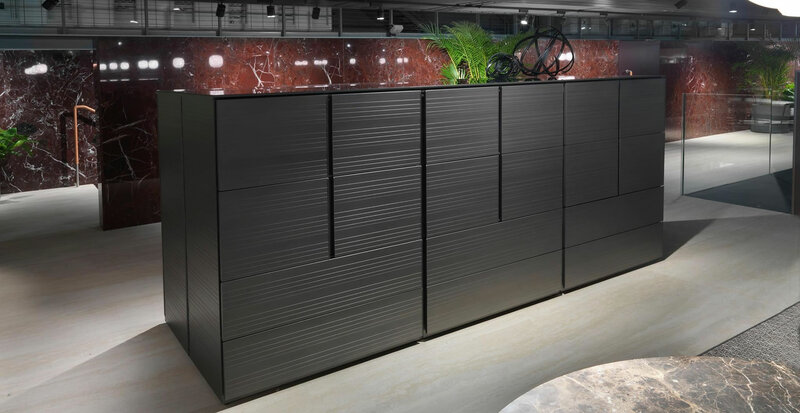 The system is freestanding and therefore permits creation of dividers at a certain height, featuring the same finishing on the front and back. 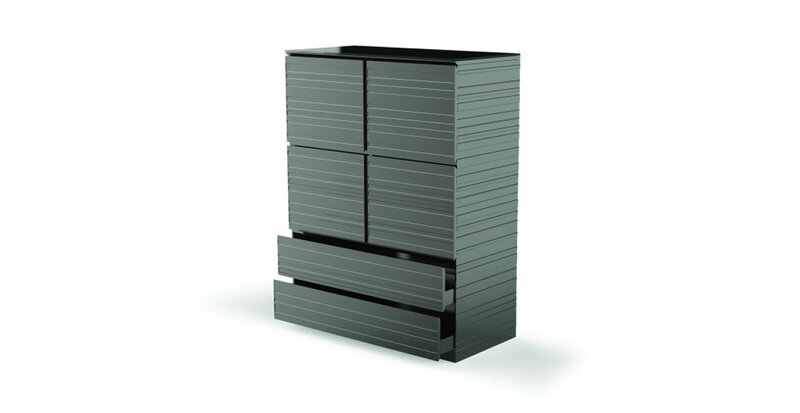 The compartments in extruded aluminium are closed by drawers or doors with a groove grip for opening. The collection stands out for the particular horizontal pattern of the workmanship on the metal surface. 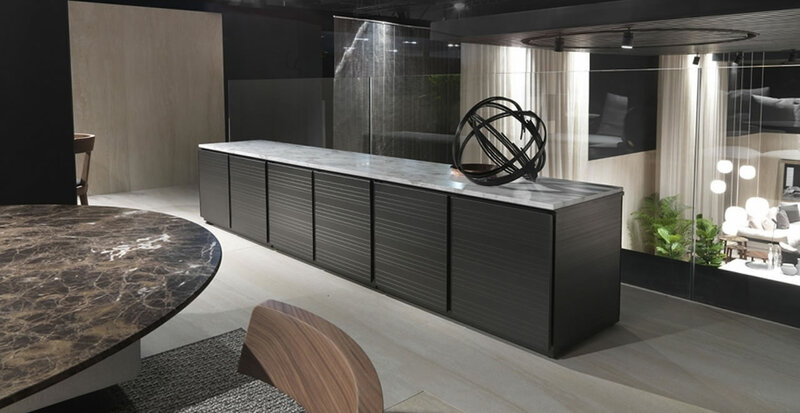 This high-tech look is attenuated, however, and made suitable for residential use thanks to the warm burnished or delicate white finish of the aluminium, and to the marble or glass used for the top that closes the open cabinets, including the buffets, the TV cabinets and the versatile multipurpose units.